Fencing Tips for Competition: Saber Fencing Point Work Practice Pays Off! As an athlete, one should always practice and train as close to the speed of the sport in competition as possible. Interval training "H.I.I.T Training" High Intensity Interval Training or popularly known as "Tabata Training," allows athletes to accomplish great success in a relatively short period of time. The Tabata Method was developed by Dr. Izumi Tabata, a Japanese physician and researcher. 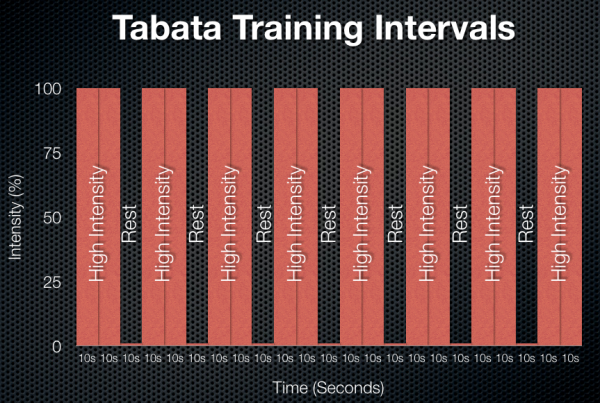 He conducted a study using an interval-based training model. His objective was to see if athletes could benefit from a 20/10 session repeated eight times. It breaks down as followed: 20 seconds of all-out exercise followed by 10 seconds of rest. This adds up to four minutes total. For example: Max effort of 20 seconds of hamstring (leg curl), then rest 10 seconds. Max effort of 20 seconds of squats, then rest 10 seconds. And then do that whole cycle again for four minutes. 1. As with any sport, consult your physician before starting any new exercise regiment. 2. There is always a greater risk of injury when you're doing high-impact, high-intensity exercise, so properly warming up is important. 3. Tabata training is not for the faint of heart, you will experience soreness until the body acclimates to the new exercise regimen.